Description: A free customizable booch ood template is provided to download and print. 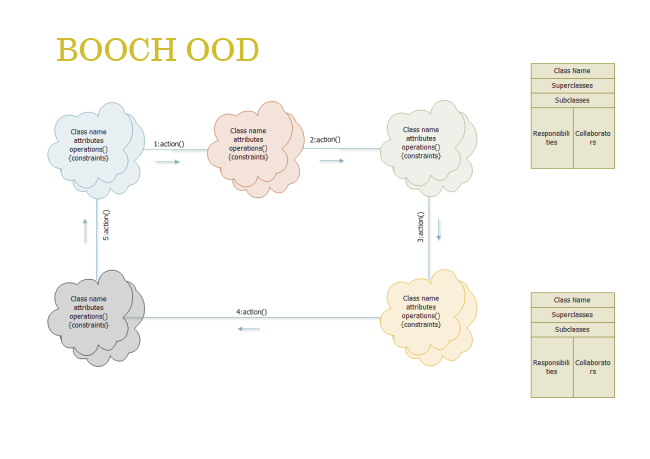 Quickly get a head-start when creating your own booch ood diagram. It can be exported in Word, PDF, ppt and png and many other formats, enabling you collaborate with others better.